There’s been a little concern over Anthem lately, with some players wondering if BioWare would meet its February release date. Well, wonder no more, as it looks like it will. 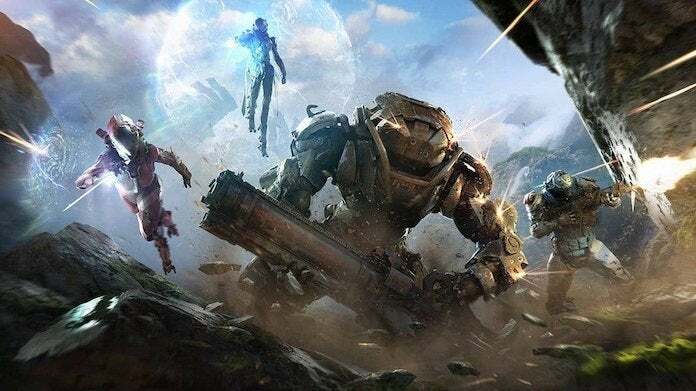 Electronic Arts has been stacking up a great deal of hype with Anthem, including a VIP demo that’s set to kick off this weekend (more details on how you can download it can be found here), as well as a general beta that will open up in early February. More than likely, we’ll also see a boost in advertising for the game, perhaps even something along the lines as a Super Bowl ad to promote it. That’s not confirmed yet, but very likely. Our own Liana Ruppert recently attended an event for the game, and will have further breakdown of her gameplay impressions very soon, along with discussions with Mike Gamble and other members of the BioWare crew. Needless to say, it’s exciting times for both them and their fans alike. Anthem releases on February 22 for Xbox One, PlayStation 4 and Origin PC. Expect more details in the weeks ahead as well. Are you thrilled for Anthem? Tell me why on Twitter at @TheDCD!